Sitting down with a calculator or a software program to figure out what you might owe Uncle Sam at tax time is nobody's idea of a good time, but you have a wide range of tactics at your disposal to make sure your tax bill is no more than it has to be. You might be surprised by all your options. Tally up your income and your expenses for the year to date. Now anticipate what they'll be for the remainder of the year. Now estimate what you anticipate your income, expenses, and savings will be in 2019. You'll want to identify your adjusted gross income (AGI) for 2018 and again for 2019 as well. This is your income less certain adjustments to income that appear "above the line" on the first page of the 2017 Form 1040. A glance at the 1040 can tell you what they are. Subtract any from your total income that apply to you. Everything begins with these numbers. They'll help you identify your marginal tax bracket for 2018, and they'll tell you what your tax bracket is likely to be in 2019. Compare your 2018 and 2019 tax brackets. Consider shifting the receipt of year-end income to after the first of the year if possible if you anticipate being in a lower tax bracket next year. Some deductions are movable as well. If you have a choice between using a certain deduction in one tax year or another but not both, consider moving it to the year you'll in the higher tax bracket. This is where it will do you the most good. Many tax deductions and tax credits have phase-out thresholds and this is where your AGI comes into play. You either can't claim them or you can only claim a reduced credit if your AGI is more than these amounts. Is your AGI in either year approaching the phase-out limit for any deductions or credits you might be eligible for? If so, consider ways to shift income or boost adjustments to income to keep your AGI at your desired target. Now it's time to do a little homework. Are there any tax breaks you can take in 2018 that won't be around in 2019? This question is made somewhat easier because the terms of the Tax Cuts and Jobs Act (TCJA) that went into effect in January 2018 are expected to govern the tax code—or at least most of it—through tax year 2025. But Congress has been known to tweak the national budget—and by extension, make some changes to the tax code—annually. Stay alert for these changes in December, January, and even February. Here are a few things you might want to keep an eye on. The threshold of the medical expense deduction that's available to taxpayers who itemize decreased from 10 percent of your AGI to 7.5 percent under the terms of the TCJA...but only through the end of 2018. Beginning with the 2019 tax year, you can only deduct the portion of your qualified medical expenses that exceed 10 percent of your AGI. You might be better off paying outstanding medical bills in 2018 if possible when the threshold is only 7.5 percent. You'll get more of a deduction. 2018 should be a good year for you if you're subject to the alternative minimum tax The TCJA increases the exemption amounts for this tax to $191,500 for married taxpayers who file joint returns and to $95,750 for all others. It's something to keep in mind when you estimate your tax scenarios for 2018 and 2019. You're not subject to this "mini tax" if your income falls below these thresholds. You used to be able to pay state estimated property taxes in advance in December for the coming year to claim this itemized deduction in the current year, but that changed under the TCJA as well. This deduction is now capped at $10,000 total for both property and state income taxes or sales taxes, whichever you prefer to claim. As a result, taxpayers flooded tax assessors' offices at the end of 2017, hoping to pay their taxes in advance so they could still claim the unlimited deduction that existed prior to Jan. 1, 2018. The Internal Revenue Service responded by promptly announcing that this is not acceptable. The taxes must actually have been assessed before you can claim this deduction. So if they're assessed in December, that's fine. Otherwise you can't claim them until 2019, even if the deduction will help you out more in 2018. Here are a few more things to consider when you're handling income at year's end, depending on whether you want to decrease your 2018 income or increase it. Boost pretax contributions to your 401(k) or similar retirement plan to reduce your income. Ask if a year-end work bonus can be paid out next year instead of this year. Hold off on exercising incentive stock options. Work overtime, ask for a raise, reduce pretax retirement contributions, shift retirement contributions to an after-tax Roth 401(k) or Roth 403(b). Spend on tax-deductible expenses such as equipment and supplies. Make payroll tax deposits this year instead of waiting until the Jan. 15 deadline so you can deduct Q4 payroll tax this year. Hold off on sending out invoices and collecting on accounts receivable until next year. Identify business losses that can offset other income. Review retirement plans and consider setting up a solo 401(k) before the end of the year. Send out invoices and try to collect on outstanding accounts receivable by the end of the year. Wait to spend money on business expenses until January. Use installment sales or like-kind exchanges to defer gains to a future year. Long-term capital gains have their own tax brackets in 2018 due to changes made by the TCJA. If your income is $425,801 or more as a single taxpayer, $452,401 or more as head of household, or $479,001 if you&apos;re married and filing a joint return, long-term gains are taxed at 20 percent instead of 15 percent. Most taxpayers pay 15 percent. Your gains might also be subject to the 3.8 percent net investment income surtax. Consider "loss harvesting." Sell off positions with unrealized losses to reduce taxable gains. Be careful about repurchasing investments sold at a loss within 30 days. This can create a wash sale. Hold off on selling profitable positions until next year. Ensure that carryover losses apply to short-term gains whenever possible. Rebalance your portfolio across tax types for utmost tax efficiency. Consider "gain harvesting." Sell any long-term gains to fill up taxable income to the top of the 15 percent bracket. Such gains will be taxed at zero percent. If you need to withdraw a substantial amount from a retirement plan, figure out if it&apos;s better to take the money this year versus next year, or spread out the tax impact by withdrawing some this year and some next year. Take required minimum distributions (RMDs) by the end of the year. If you turned 70½ years old in 2017, your first RMD should have been taken by April 1, 2018, but you can delay it until the year after you turn 70½. Figure out if it&apos;s more advantageous to take the RMD this year or to take two RMDs next year. This increases your taxable income in the year of conversion. You can undo a conversion by April 15 or Oct. 15. This makes sense if the tax cost is low enough compared to the expected future tax cost. Earning more income can mean that more of your benefits will be taxable. Figure out if your passive losses will be limited or deductible this year. If so, passive losses can offset other income. If not, the losses roll forward. Consider increasing your passive income to use up your loss carryovers. Exercise carry back/carry forward options to offset income in other years. Increase income to absorb the losses. This makes the additional income tax-free up to the extent of the loss. Figure out if you can or should itemize this year and/or next year by comparing the total of your itemized deductions to the standard deduction for your filing status. Keep in mind that the TCJA pretty much doubles standard deductions to $12,000 for single filers, to $18,000 for heads of household, and to $24,000 for those who are married and file jointly. It might make more sense to itemize this year rather than next year because these standard deductions are indexed for inflation and can be expected to increase slightly. Identify expenses that can be paid in 2018. Medical, dental and health care expenses in excess of 7.5 percent of your AGI are tax deductible in 2018, but this figure will go back up to 10 percent in 2019. Consider paying additional medical expenses before the end of the year to get your deduction over the threshold. If you had significant medical expenses in 2018, look into whether you can pay your medical bills next year instead. By "bunching" your medical expenses into one year, you might be able to get over 2019&apos;s 10 percent threshold. Pay your state estimated income taxes by the end of the year to deduct them this year. This only works if you are or will be able to itemize and you&apos;re not subject to the alternative minimum tax. Hold off on paying your Q4 state estimates until January if it will be more advantageous to deduct them on your 2019 return. Pay your next property tax installment before the end of the year to deduct it this year. Remember, you can only do this is the tax has been officially assessed. This only works if you are or will be able to itemize and you&apos;re not subject to the AMT. Pay your next property tax installment in 2018 to deduct it in 2018 if it&apos;s been assessed before year&apos;s end. Donate cash by December 31 to deduct the donation this year. Donate non-cash goods such as clothes, furniture or vehicles by December 31 to get a deduction this year. Consider a Donor Advised Fund if you want to give but you&apos;re not sure which charity you would like to donate to. Postpone donations until next year if the deduction will produce bigger tax savings in 2018. Pick the right year so the charity generates the most tax savings. Contributions for employee contributions for 2018 must be made by December 31 or deferred from your last paycheck of the year. Decide how much you want to set aside from each paycheck so you&apos;re ready to go in January for 2019 contributions. Decide how much to allocate for pretax traditional and/or after-tax Roth accounts for 2019. Contributions for 2018 tax year are due by April 15, 2019, so topping off your IRA can wait until next year if necessary. 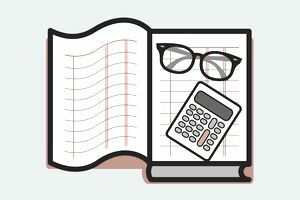 Determine how much, if any, of your traditional IRA contributions will be tax-deductible. Contributions for tax year 2018 are due by April 15, 2019. Determine how much, if any, you are eligible to contribute to a Roth IRA. Consider funding a Roth IRA and taking the Saver&apos;s Credit if you&apos;re eligible.